Jason Bright has confirmed that he has purchased two Volkswagen Golf GTI TCR cars and will compete in the inaugural TCR Australia Series this year. The 1998 Bathurst 1000 winner is also developing a competition to give one lucky fan a chance to drive his Volkswagen TCR machine. After visiting the Sepang International Circuit in Malaysia last weekend, Bright has secured two Volkswagen Golf GTI from Team Engstler, with his entry to feature support from his own trade solutions business Taskforce. 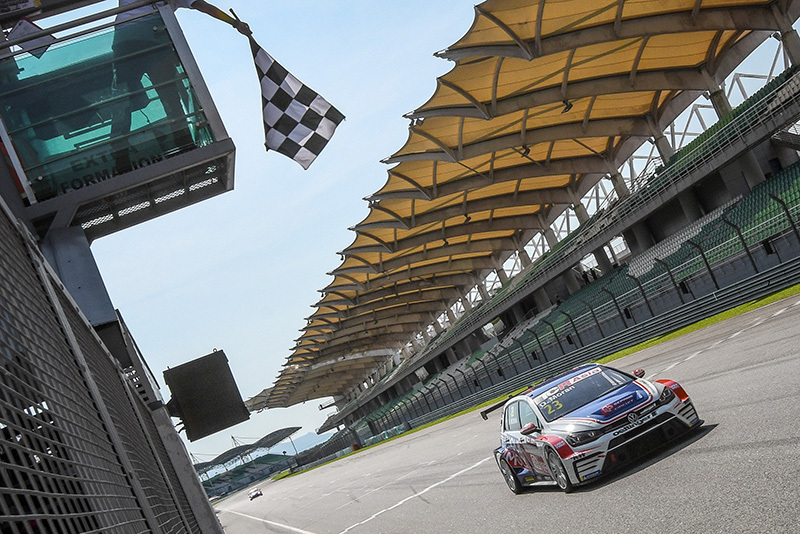 Team Engstler Volkswagen driver Diego Moran won the second TCR Asia race at Sepang and currently holds championship points lead. The driver of the second Golf, and the final make-up of the team that will prepare the vehicles, will be confirmed in the coming weeks. Confirmation of Bright's entry adds to the recent TCR drivers confirmed, including Tony D'Alberto, Chris Pither and Jimmy Vernon. While Bright is aiming for on-track success in TCR Australia, he is also developing a unique competition that will see one lucky winner drive the Volkswagen TCR car at the end of the year. Also, 32 runners-up will receive hot laps with Bright in the Golf GTI. To find out more and keep up to date, hit http://teamtradie.taskforce.com.au and become a FREE Team Tradie Member. For people in the trade industry, there will be even more chances to drive Bright’s Golf GTi through the team’s official trade supplier partners. Bright made his Australian Touring Car debut in 1997 and went on to have a distinguished career that saw him rack up 260 career starts and claim 50 podium finishes. With notable wins including the Bathurst 1000, Sandown 500 and Adelaide 500, Bright has solidified himself as a household name and fan favourite in the Australian Touring Car scene. Bright has also driven for some of the best race teams in the country, including stints at the factory teams of Holden and Ford. He also ran his own Supercars team (Britek Motorsport) from 2005 to 2009. Bright will get his first taste of the Volkswagen Golf GTI TCR at a test day in the coming weeks ahead of the first round of the TCR Australia Series at Sydney Motorsport Park on May 17.19. Every round of TCR Australia will be held alongside the Shannons Nationals Championships, with live, free and HD broadcast coverage on SBS. Jason Bright will drive this race-winning Volkswagen Golf GTI in the 2019 TCR Australia Series. Click image for high-resolution options. “I went to Malaysia on the weekend and purchased the car that actually won the weekend. I know it’s got good form, so I can’t wait to get it to Australia, have a test and get ready for Round 1. “The idea behind Team Tradie was to add to the Taskforce concept that I’ve been running for a few years now. It will give anyone a chance to be involved, and possibly drive of my VW Golf.